When Bob and I went to Jericho, West Bank for the first time it was 1997. Another couple were there from Kentucky and we became good friends. So in the evening when we were free Bob & I and Steve and Karen would go into town and walk around. We met a young man named Kahlil. He had an old green car and offered to take us to see the sights we couldn’t see just walking. We piled into his car and when he started it, every light on the dash board came on. We mentioned we didn’t think they were all supposed to be on but he laughed and said it was okay. Every night we would meet Kahlil and he would take us somewhere else to show us different things. One night he told us he was taking us somewhere special. We drove to a neighborhood and he stopped in front of a house. He told us to come in and he got his wife and two children and introduced us. His wife, Woofaa, didn’t speak English but Kahlil interpreted and we had a nice visit. His children were Hassan and Ressan. We told him he had a nice family and he was very pleased. On that trip Kahlil became a very good friend. When we went back the next year he had become a taxi driver. He had a nice yellow taxi. Through the years we relied on Kahlil a lot. We put our lives in his hands more than once. He would come to the Jesus House to see if we needed anything. One year we went back and he had bought a brand new taxi He was so proud. 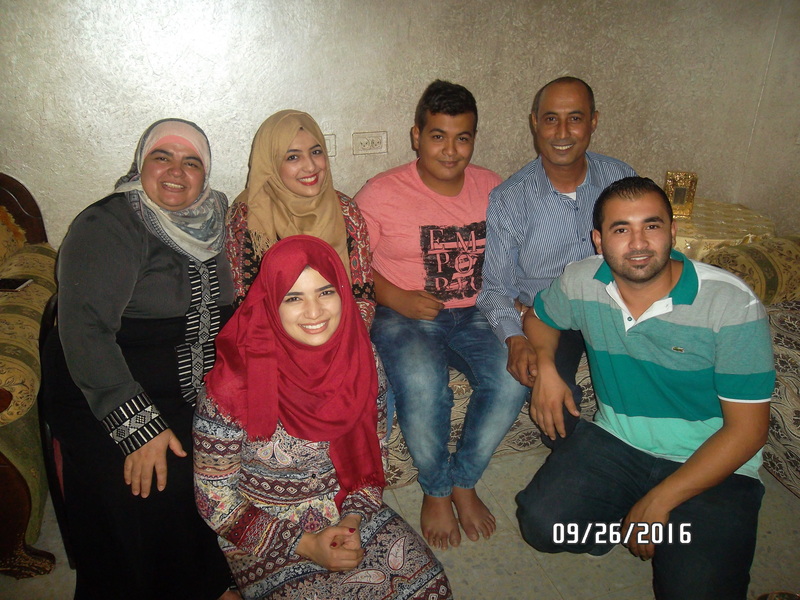 As the years progressed so did his family We were invited to his home a lot for dinner. In 2004 we were there for dinner and we decided to take a picture of his family. It turned out so nice we had an 8×10 made and put it in a frame for his family. 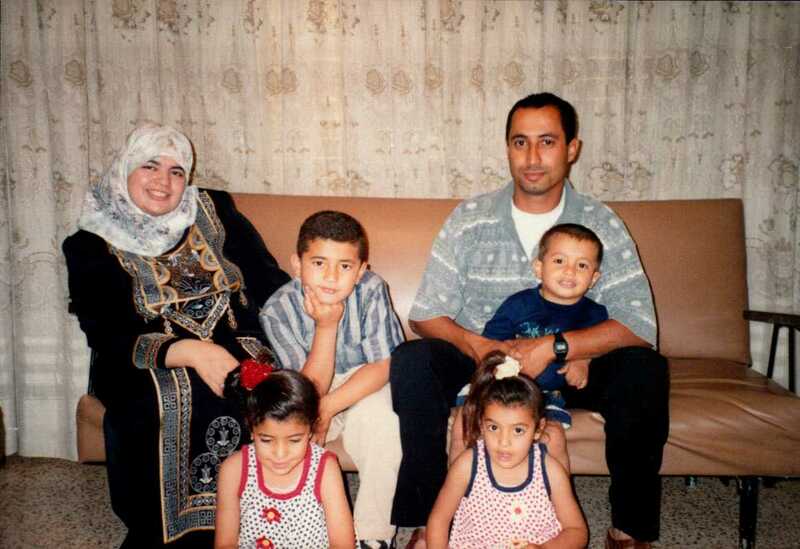 This time there were four children, Hassan, Ressan, Jeanan and Mohammed. 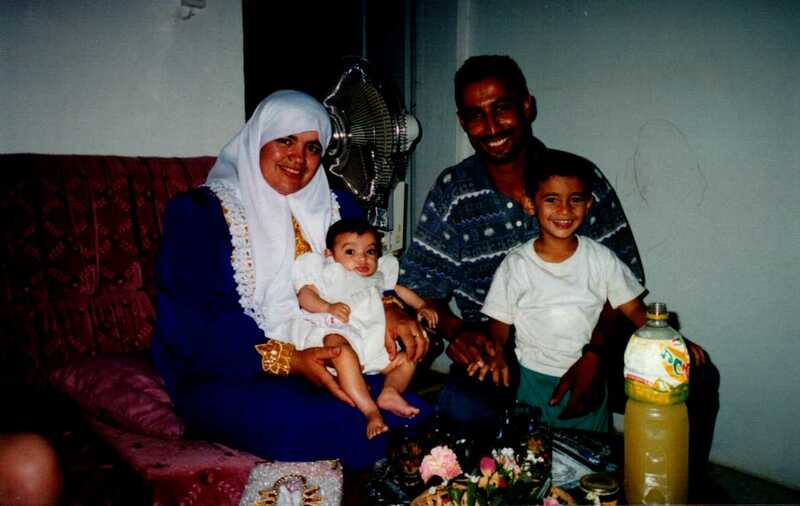 They were so thankful for the picture..
Woofaa, Hassan, Kahjlil holding Mohammed. It had been awhile since we had been to Jericho, West Bank but we went this year. Of course we contacted Kahlil. We met him at a restaurant and he brought two of his kids. One of the kids brought the picture we had taken in 2004. They still had it. We talked for awhile and he invited us to his house for dinner. There were six of us and he invited us all. There were Terry and Susan, Steve and Karen and of course Bob and I. We told Kahlil that we wanted to take another family picture. We got to his house and had a delicious dinner and then we took another picture. Hassan is now married but his wife was out of town. Ressan is now engaged.It was so nice to see this family and watch them grow. 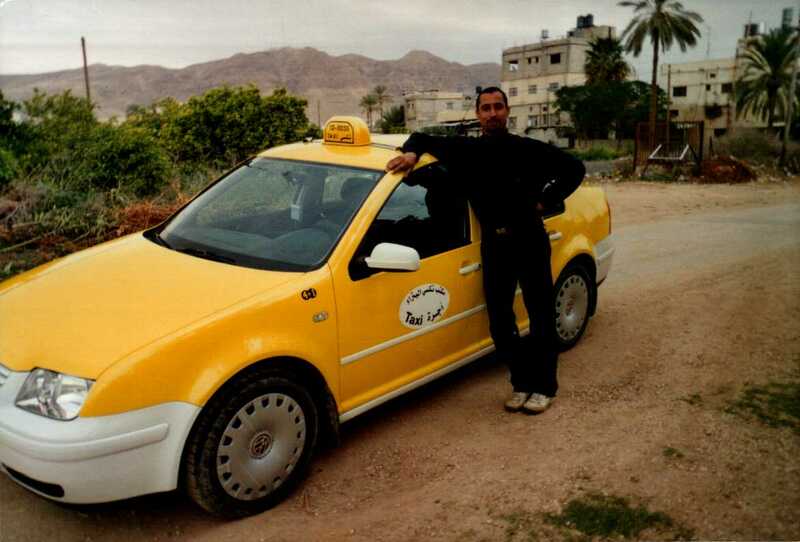 Kahlil now runs a fleet of taxi’s. We have so enjoyed watching this family grow. We love them very much. We ask you to pray for them because in all these years Kahlil has not accepted the Lord. He and his family are Muslim. We want them to know the joy of knowing Jesus.